Here is a link to the International Festival which took place in December 2018. Living and Working in Rutland after Castleton–You Can! February 9, 2018 / / Comments Off on Living and Working in Rutland after Castleton–You Can! Did you know? Castleton’s international students who fall in love with our beautiful, healthy, fun-filled community can stay in the area after graduation. There are numerous opportunities to work in a multitude of sectors in Rutland County and other areas of Vermont. 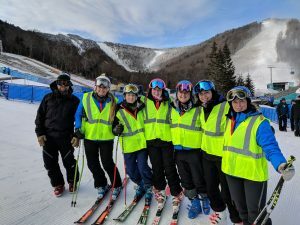 Some of our recent international graduates have done just this, landing jobs at Casella Waste Systems, Neutral Zone (a hockey scouting and news site), and Vermont Commons School. In early February, members of Castleton University’s leadership team were given a tour of GE Aviation in Rutland. GE is a world-leading manufacturer and service provider for commercial and military jet engines. GE Aviation is hiring college graduates with a wide variety of degrees and is a perfect example of another local company that would welcome our international students to its staff. 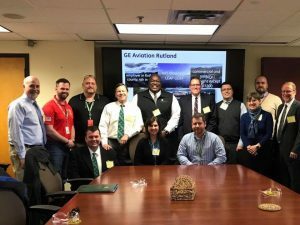 For more information about internship and job opportunities with GE Aviation and other employers in Rutland and Vermont, contact Renee Beaupre-White, Director of Career Services at Castleton. November 7, 2017 / / Comments Off on Welcome to Castleton!